Although portable generators are capable of taking care of all of your electrical needs, you may only need something that’s small and easy to carry for just your cellphone or other devices. There are plenty of chargeable power supplies on the market that can work just as well when you’re camping. Sometimes we just need to get away from all that nature and seem a little time to ourselves, whether it’s playing one of our favorite games on our phones, sending a text message, or just reading our favorite blogs. No matter what you choose to relax to having the best power supply on your side can help to make all those quiet times a little less lonely. 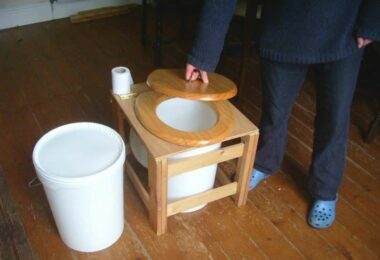 There are so many products to choose from that it can be difficult to know which one is the best for your needs. Manufacturers always say that it’s best to let your batteries run out completely in order to extend their life fully, but having an empty battery isn’t the best thing to have in an emergency, and sometimes you need some way to keep the battery going in order to make that important call. Not all power supplies are created the same, so it pays to know what to look for from the beginning so that you don’t end up wasting your money. Here are a few important features that you should keep in mind. 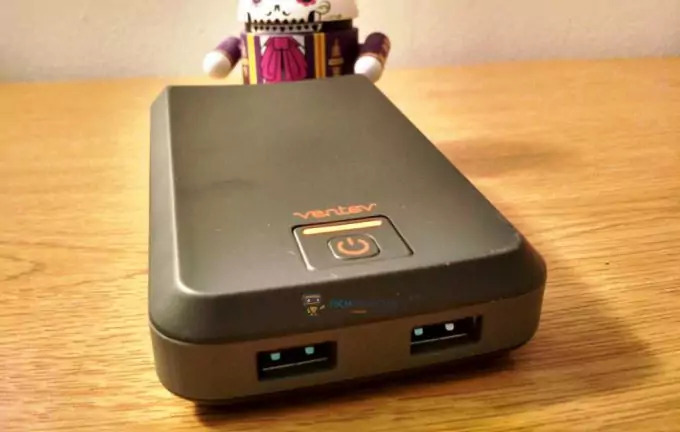 Size: you’ll have to make a decision between how many devices you want to charge and how portable you want your power supply to be, because the bigger the supply, the more juice it can hold. 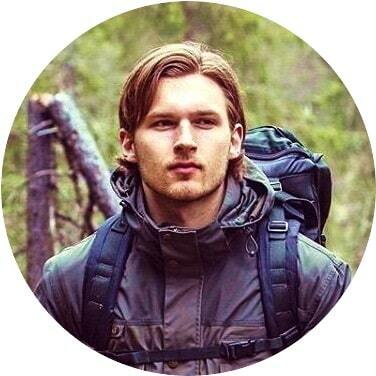 But this isn’t always conducive if you’re trying to carry as many camping supplies as possible. Bigger power supplies are also going to mean a lot more weight being added to what you’re carrying. The device/devicess you’re carrying and how often you want to charge them will determine the kind of power supply that you bring with you. Capacity: the capacity of a charger is expressed in terms of milliamp hours, or mAh. Getting a charger that is below the level of your device’s battery won’t be very useful at all, so knowing the specs on them will help you decide the right power supply to get them running at full capacity again. By doing a little math, you can determine how many times you can charge one device from the power supply before it’s completely dead. However, you should keep your expectations reasonable, as this number can sometimes be a little lower than your math calculates. 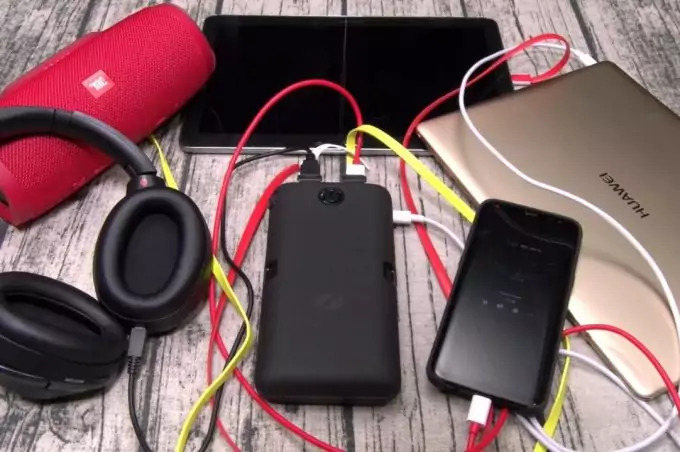 Amperage ratings: getting a portable power supply with the right amperage will ensure that your devices get charged; if you get one that’s too low, then you’re out of luck. They usually come in settings of 0.5A, 1A and 2A, and the amperage also tells you how quickly they can charge your devices. Some of the best power supplies will also have an integrated circuit that adjusts the power flow depending on the state of the device’s battery. Hitting an empty battery with full power is a terrible idea, so most devices are “pre-charged” when they’re first plugged in before they go into a constant-charge mode. Then, when they’re almost full, the integrated circuit will slow down the voltage until the battery is at maximum, and then turn off to save on power once it’s complete. Options: if you have a variety of devices, then you’re going to need a charger that has various port options for them all. Most modern devices use the standard USB model, but it’s better to have a few additional choices for the other devices you have that use different ports. 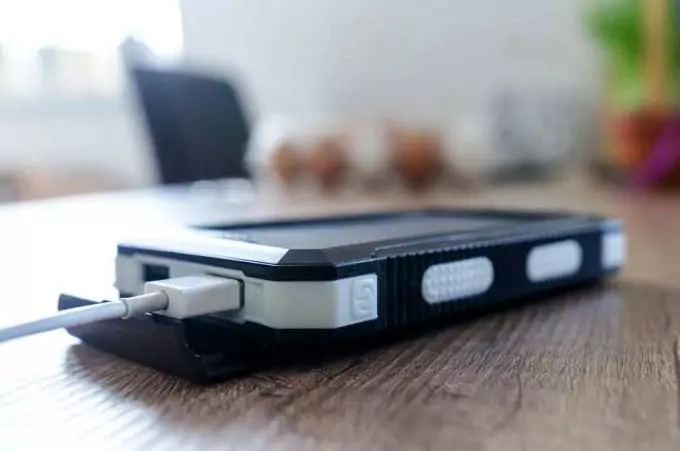 The length of the charging cables can also make a difference, as well as a battery indicator system so that you know how much juice is left in your portable power supply. There is one feature that you don’t need to bother investing much time in, and that’s “memory” or “memory effect.” This was the susceptibility of a battery to have diminished capacity when they were undercharged or charged prematurely. This was only a problem when NiMH batteries were in popular use, and would have problems with charging if they were removed before they were fully charged. However, lithium-ion batteries don’t have this problem, and can be charged as little or as much as you need. But it’s important to keep in mind that all batteries don’t last forever, and there will some depreciation in the charge that they can hold over time. A lithium-ion cell, for example, can last for about 500 charges, and after that the charge supply becomes severely limited. This is by no means an exhaustive list, and there are several other power supplies that may be better suited to your needs. But seeing what these powerful little devices are capable of will give you some idea of what’s out there and what you should be looking for in the power supplies you’re interested in getting. 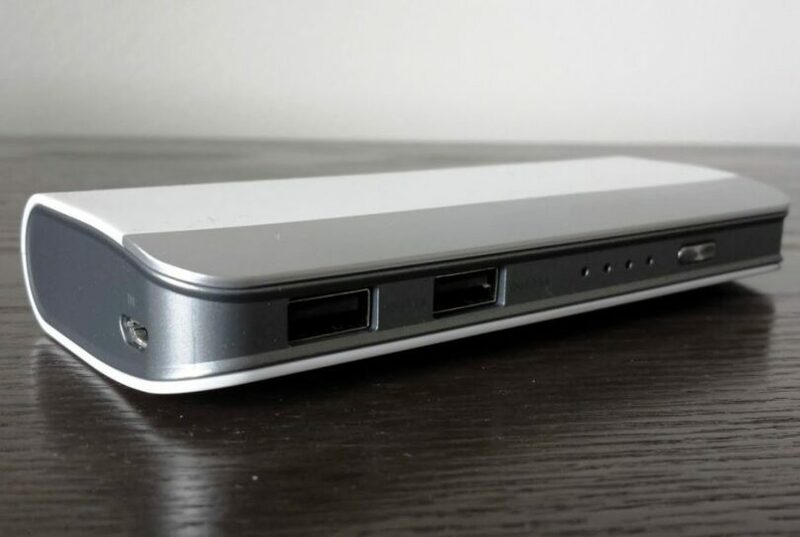 Take a closer look on our reviews of the best power bank charger to help you. This power supply not only looks stylish, but it also packs a lot of power at a reasonable price. At only $25 and only one output port, it has up to 2.4A, has a capacity of 10,400mAh, and only weighs about 10 ounces. It takes about two to three hours to fully charge, allowing you to have a full power supply ready a few hours before you’re ready to leave for your camping trip. It’s so small, that it can even fit into a pocket if your bags are already full. There are four blue LEDs on the side that serve as a battery indicator as to how much power still remains. 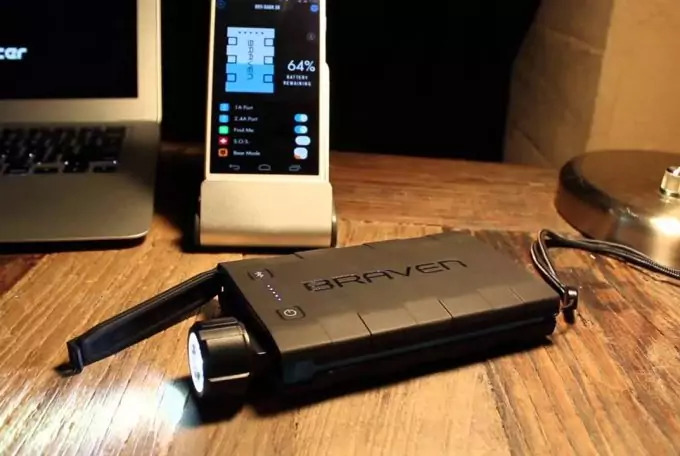 This unique battery charger will be very useful for those who intend on driving to their camping locations, as it plugs directly into your car socket to charge. That means that you can charge on the go if you accidentally forgot to do so the night before. It comes with two ports up to 2.4A – a USB Type C and USB-A – and sports a 3,000mAh battery. The four LEDs let you know how much juice is left, and when you run out you can charge it in your car again while you’re still camping. It only takes about two hours to charge and only weighs about four ounces. It does at $60, but the convenience of having a charger that works directly with your car is definitely worth the extra cost. The downside to this charger, however, is that it doesn’t come with a charging cable, so you’re going to have to provide your own. If you’re planning to take a lot of electronic devices with you on your trip, then this is definitely the power supply for you. It does have a charge time of 8 to 24 hours, so you’re going to have to remember to plan ahead to have this fully charged, but it’s definitely a powerful device you want to have on your side. It comes with 4 charging ports (two at 2A and two at 1A), and has a battery capacity of 30,000mAh. It comes in at about $100 and weighs fourteen ounces, so it’s a bit more bulky than the other power supplies you’ll find, but it’s definitely worth the price if you want to charge several devices at once. The four LED indicators tell you how much power is left, but it will be a long time before you’ll need to pay attention, as this lasts for a long time. 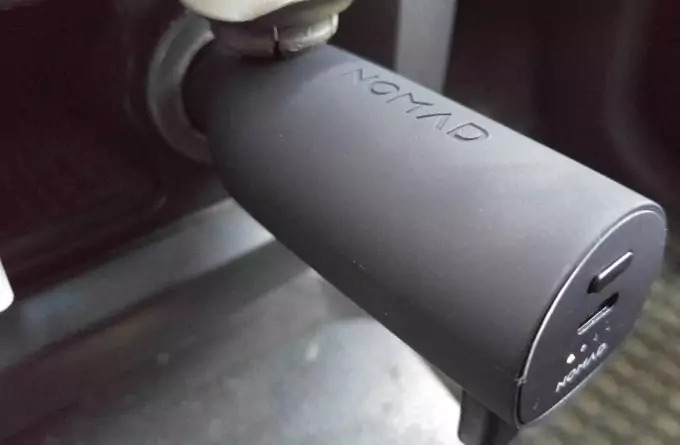 The dual-layer plastic provides protection against being dropped, as well as port covers to keep the dirt out, which makes it perfect to take on your camping trip where things can get a little filthier than you expect. It only comes with one micro-USB cable, so you’re going to have to supply your other cables to charge your devices. This affordable charger takes about five hours to charge, and holds as much as 10,000mAh. It comes complete with two ports (2.0A) and weighs at about 9 ounces, light enough to store in any of your backpacks. It’s one of the newer battery packs that support the new Quick Charge 2.0, allowing your phone to experience the same benefits as being charged directly from a wall outlet. It charges devices 75% faster than most other chargers, and also adjusts the voltage output depending on the state of the charging battery. The battery indicator is a bit different from other models: it will glow white when the supply is between 20-60% full while charging, glows green when there is 20-60% battery left, and red when it’s below 20%. The device also comes with one micro-USB cable, and is one power supply that you should consider for those impromptu camping trips from home. At $30, it’s definitely a quick purchase that won’t hurt your wallet too badly. Rugged solutions are much better than simple power supplies you can use at home. They’re designed to be more rugged and handle rougher treatment, making them perfect for taking on trips where you’re not so gentle with your stuff. The BRV-Bank is also water-resistant, and even meets the military drop test of 810G, so it won’t break when it happens to fall out of your bag or pocket. 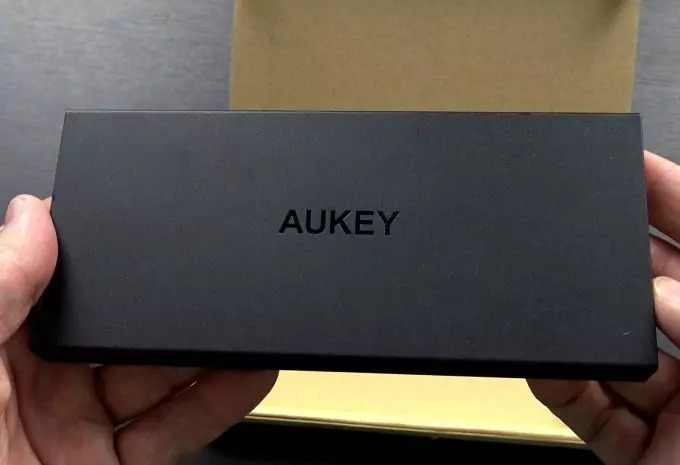 The high-quality 6,000mAh battery only takes about 4 to 5 hours to charge completely, and provides 2.4A and 1A to the two ports of the device itself. If you want to stay up to date on the status of your power supply, you can install the battery monitor app on your phone and connect to it via Bluetooth. You’ll see how much power is left, allow you to turn the ports on and off, and activate the “Bear Mode” that triggers an alarm and flashing strobe when your phone is moved. This prevents your phone from getting stolen, and can also help you locate your battery supply when you’re having a hard time finding it. It comes with a USB to micro-USB cable, a lanyard strap, and a flashlight attachment that can be helpful in a pinch when you need some illumination at night. That’s definitely a lot you’re getting for the $100 price tag. If you want something that’s really portable, then this is the charger for you. It adds an AC adapter to the design, increasing the versatility and adaptability of the device to cover other devices that most power supplies miss. The prongs can be folded out so that it can be plugged into a wall outlet to charge it, which takes about 4 to 5 hours to fill the 6,000mAh battery. It has two ports – 2.1A and 1A – and is definitely well-built to outlast your camping trip. At $70, it doesn’t come with a charging cord, which is a bit disappointing. The LED strip at the front provides you with information on the status of the power supply so that you know how much is still left in its reserves. It only weighs about 8 ounces, making it light and versatile to carry with you anywhere. Want something that definitely stands out? Then this is the power supply for you. The Power Cube is definitely irresistible in terms of looks, especially with the various colorful LED patterns it displays when it’s in use. There are 6 patterns in total that are reminiscent of the game “Ingress”, and they definitely make the power supply stand out from the rest in the market. And it’s more than just the pretty looks. The powerful 12,000mAh battery takes about 10 hours to charge, but it packs a whoop in keeping your devices charged. It comes with two ports (2.1A and 1A), weighs about 10 ounces, and costs about $44, which isn’t a lot, giving the visual show you get while it’s doing its job. These can definitely stave off a little boredom or even help you fall asleep if you need something to quiet your mind. The device also has built-in safety features that will shut itself off when it gets too hot or a problem occurs, ensuring that all of your devices don’t get fried in the process. It’s a bit big an unwieldy, but it’s designed to last and is definitely reliable on keeping your devices charged. This small and stylish portable charger is as reliable as they come. It looks gorgeous with its black plastic frame and metal panels to give it some aesthetic. The 3,000mAh capacity only takes about 1.5 to 3 hours to be full, and has two ports that work at 3A. 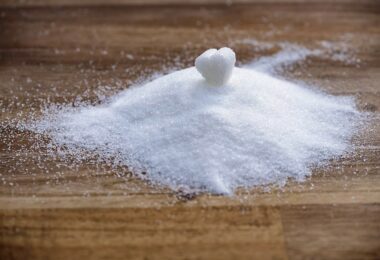 The small frame is extremely light, weighing at roughly 3 ounces. It provides fast-charging, and has HyperFET circuitry that can tell which device needs more current if you’re charging two at once. It comes with built-in charging cables (full-sized USB and a micro-USB), as well as an extra USB output on the bottom and a micro-USB input with a power button on the top. The price ranges between $50-$80, and provides various readouts during use: there is a white light when it’s turned on, flashes when its being charged, and turns blue when it drops below 90%; the light then turns red when it’s below 10%. The device itself can also be used as a syncing cable to back up your data when it’s plugged into your laptop, allow you to charge up itself as well as your phone in the process. 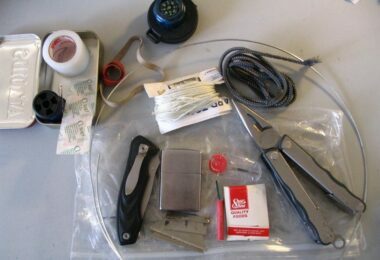 The “power pouch” is small, light, and convenient. It has a capacity of 6,000mAH, has a 2.1A port and a 1A port, and takes about four to five hours to charge completely. The price tag of $53 is definitely affordable for most people who don’t have a lot of money to spend. It can be used for Android or iOS, has a built-in Lightning or micro-USB cable, and a four LED display that tells you how much juice is left. 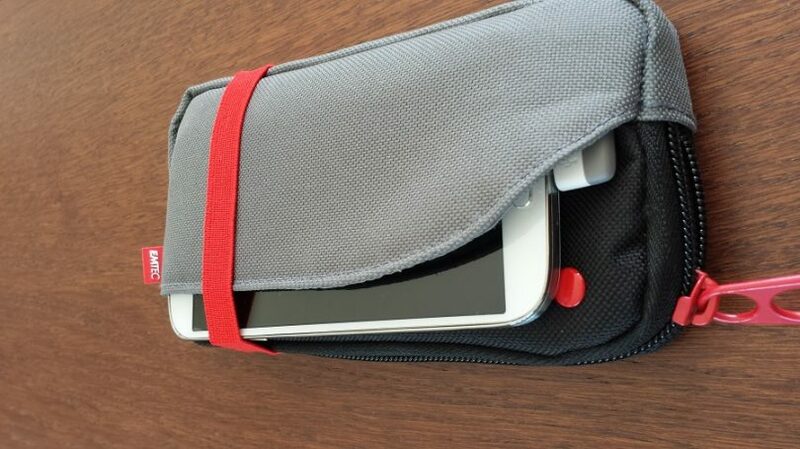 The battery is kept within a zippered pouch, and there’s also a pocket that you can use to keep your devices in while they’re charging. Open the zipper reveals the other built-in USB cable that can be used to charge up another device. It’s definitely handy for keeping your devices all in one place while they charge, and minimizes the chances of you tripping over all the wires when you’re moving around in your tent. Keep in mind that even these power supplies aren’t designed to last forever and will have to be replaced eventually. Probably not for a few years, depending on how often you go on camping trips, but you will have to invest in a new one at some point when your power supplies can no longer hold a good charge. However, these power supplies will definitely help you out in a pinch when you need a little juice during those crucial times and need some way to get help, or just relax with the comfort of your devices after you’ve had a stressful day. Although the point of camping is to get away from the conveniences of modern technology, it doesn’t hurt to use them once in a while to stay in contact with your friends and family. Take a look at our article on how to choose the best solar battery to keep your gadgets juiced up.